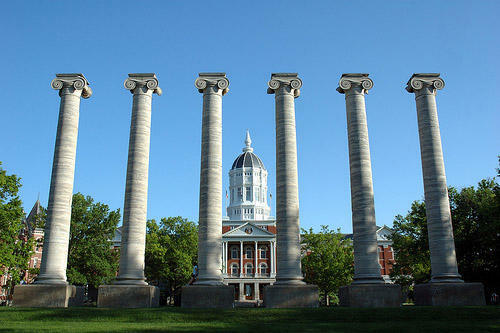 A report says the University of Missouri boosts the state's economic output by 25 percent, and that each dollar of state support means $38.43 in economic activity over the next 25 years. The Columbia Daily Tribune reports that state lawmakers are considering a final decision on the university's appropriation of the state budget for the upcoming fiscal year. State representatives have proposed cutting $8.6 million from the university and halting any increases tied to performance, while state senators have proposed cutting $1 million and giving $26.8 million in support through performance-based increases. A co-author of the report says the study was intended to estimate the long-term impact on the state's economy if the university didn't exist, not to measure the economic impact of small increases or cuts in the state's support.